Drink up with this Dragon Ball Z Goku and Gohan Pint Glass 2-Pack! This awesome set features Goku and his son Gohan from the hit anime Dragon Ball Z. 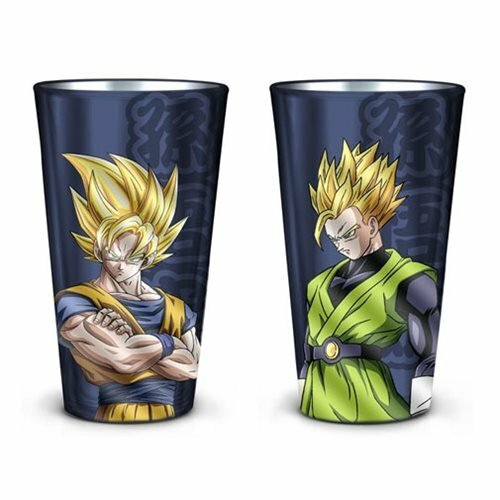 This Dragon Ball Z Goku and Gohan Pint Glass 2-Pack holds up to 16 oz. of liquid and measures about 6-inches tall. Hand wash only. Not dishwasher safe. Do not microwave. Ages 14 and up.